What does it take to become a registered nurse (RN), licensed vocational nurse (LVN), or certified nursing assistant (CNA) in Corpus Christi, Texas? The responsibilities and requirements vary substantially by role. Registered nurses must perform a variety of challenging tasks, including administering medication, conducting diagnostic tests, and establishing patient care plans. Employers therefore require that RNs hold a hospital diploma, two-year associate’s degree, four-year bachelor’s degree, or master’s degree in registered nursing. All candidates must also pass the National Council Licensure Examination for Registered Nurses (NCLEX-RN). Licensed vocational nurses measure and record vital signs, prepare and give injections, dress wounds, and teach family members how to care for patients. Aspiring LVNs must complete an associate’s degree or certificate program that typically requires one to two years of study. All candidates must also pass the National Council Licensure Examination for Practical Nurses (NCLEX-PN). Certified nursing assistants provide hands-on patient care and perform routine tasks such as bathing, feeding, and dressing patients. Aspiring CNAs must complete a brief accredited training program and obtain a state license. Newly minted nurses can seek employment at top local healthcare providers. These include Dubuis Hospital of Corpus Christi, Corpus Christi Memorial Hospital, Corpus Christi Medical Center, and Corpus Christi VA Specialty Outpatient Clinic. In addition to promising employment opportunities, graduates can expect to earn competitive salaries. 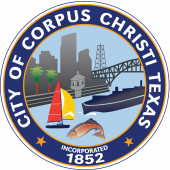 Corpus Christi is home to a growing population of 3,360 RNs that earn a median annual salary of $64,410. The city’s 1,230 LVNs earn $41,760 per year on average, and its 1,720 CNAs take home $22,370 annually. The following is a list of accredited nursing schools in Corpus Christi that offer top-tier education and training programs in this rewarding profession.